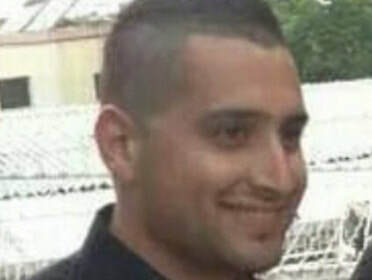 A policeman who was critically wounded Tuesday morning in a terror attack at a Jerusalem synagogue in Har Nof succumbed to his wounds Tuesday night at the Hadassah Medical Center in the capital, raising the number of casualties in the attack to five. 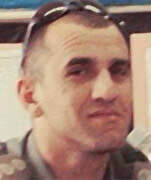 Master Sergeant Zidan Sif, age 30 from Yanuh-Jat, joined the Israel Police in April 2011 and served as a traffic control inspector at the Jerusalem Police Department. 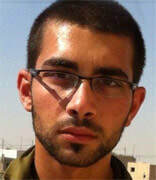 He was one of the first two policemen to arrive at the scene and was shot in a fire exchange with the two terrorists. He was posthumously promoted to First Sergeant. Sif left behind a wife, a four-months-old baby, parents and five siblings. 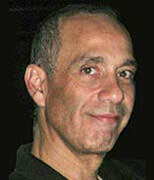 His funeral will be held Wednesday in the Arab local council of Yanuh-Jat. 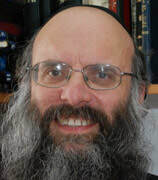 Four others worshipers who were praying at the Kehilat Bnei Torah synagogue - Rabbi Moshe Twersky, Rabbi Avraham Shmuel Goldberg, Rabbi Kalman Levine, and Aryeh Kupinsky - were killed, while six people were wounded, including another police officer. 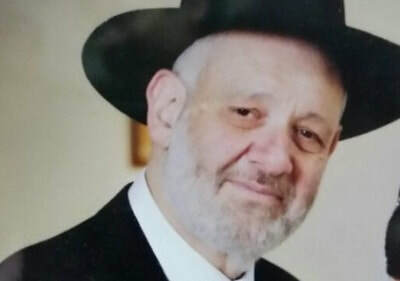 At around 7am, the terrorists - wielding massive knives and a gun - entered the Bnei Torah synagogue on Harav Shimon Agasi Street, which includes both a synagogue and yeshiva (rabbinical seminary), and carried out attacks in more than one location. The two were killed following a gunfight with security forces who arrived at the scene. "It was clear to me that if I stood outside at that point they would murder Jews inside the Yeshiva," said Superintendent A., the man who eliminated the terrorists behind the deadly Jerusalem synagogue terror attack on Tuesday morning. "It was me or them," A. said. Traffic police were the first to arrive at the scene of the terror attack – 7 minutes after the first report of a shooting at the synagogue. Superintendent A., who serves as a Forensic Laboratory Specialist in the Division of Identification and Forensic Science (DIFS), overheard reports of the incident on police communications and understood there was an officer wounded from the shooting. "It was absolutely clear to me that this was an unusual event," said the superintendent. Seconds later the superintendent saw the two terrorists yielding guns and knives and running from the synagogue towards police. 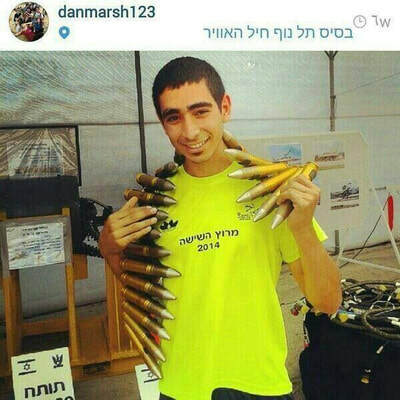 A. shot at the two terrorists and killed them. 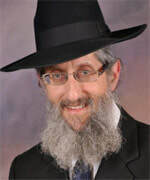 After their elimination, A. along with other police officers entered the synagogue and screened the site in order to determine if there were additional terrorists. "It started like a regular day," said A. "I drove to work with my colleague. We are Superintendent Laboratory Specialists in the Division of Identification and Forensic Science, and are used to arrive at the "after" scene. "We were listening to communications, and heard the center report on many calls regarding a shooting on Agassi Street. 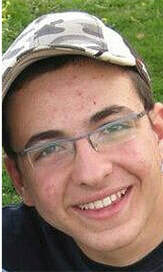 The first situation that came to my mind was 'Merkaz HaRav' (a previous Jerusalem terror attack)," said A. "We arrived there as quickly as possible because it was clear to us that we are first of all policemen and only afterwards are we forensics officials,"
"I aimed my gun while shooting towards the stairs, I saw two, two young men running, and they were pretty young. The first held a gun and a big meat cleaver knife and the second a meter's distance behind him holding a Machete with a knife that was also covered in blood. It was me or them. I shot at the first, I saw that he collapsed, shot at the second, and then he collapsed. I continued to fire. I realized I had no more ammunition." At the end of his retelling of the event A. said, "I turned to my colleague, and I asked him for his cartridge. I switched cartridges. At that point, an officer in front of me got closer to the stairs. There were two other officers and policemen on my right side. We started to go up the stairway because the instinctive thought that comes to mind is that there are more terrorists inside and we must stop them. We went up the stairs and I saw a Haredi covered in blood. We went inside, I checked the stair hall with the suspicion that a terrorist would come out. My inner thoughts were that if a terrorist comes out of there it is me or him. One look inside and I saw lots and lots of blood. Haredis lying on the ground. Massacre. And basically this is when my role in the incident ended." Magen David Adom released the recordings of the call made by an eye-witness to the Jerusalem synagogue massacre. Woman: "I saw shots fired, there were two terrorists. I ran away from there immediately, I saw blood." Woman: "In Har, Nof Agassi Street, Arabs, shots." Operator: "You said shots?" Woman: "Yes, I saw shots, there were two terrorists there. I saw that there were injured." Operator: "How many injured did you see?" Woman: "I didn't see, I ran away immediately, I saw blood, there were a lot of shots there." Palestinian sources named the terrorists as cousins Ghassan and Uday Abu-Jamal, from the Jabel Mukaber neighborhood of East Jerusalem. 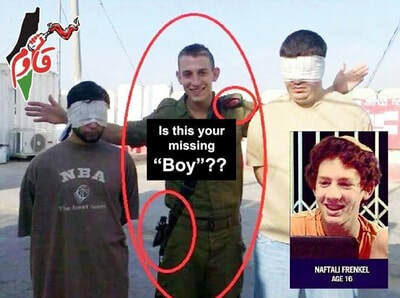 The two were related to a prisoner released in the Gilad Shalit prisoner exchange. An official Hamas statement said that the attack was a response to the death of bus driver Yusuf Hassan al-Ramouni, who was found hanged at a Jerusalem bus terminal Sunday night. An autopsy report confirmed the death was a suicide. The two men allegedly entered the while prayers were in service with knives, axes and guns, and began attacking worshipers. Israeli police soon arrived on the scene and, after a brief shootout, killed the two men.